When Jesse Walker of Reason first contacted me about contributing my thoughts about which technology policy books made the biggest difference, I told him I knew exactly what my choices would be: Ithiel de Sola Pool’s Technologies of Freedom (1983) and Virginia Postrel’s The Future and Its Enemies (1998). Faithful readers of this blog know all too well how much I love these two books and how I am constantly reminding people of their intellectual importance all these years later. (See, for example, this and this.) All my thinking and writing about tech policy over the past two decades has been shaped by the bold vision and recommendations set forth by Pool and Postrel in these beautiful books. The past 45 years have seen remarkable advances in information technology: the Internet, mobile communications, ubiquitous news and entertainment options, and much more. What made these and other innovations possible was a general openness to the unplanned, the unpredictable, and even the uncontrollable. In our willingness to embrace a world of uncertainty and incessant change, we found unparalleled technological abundance. 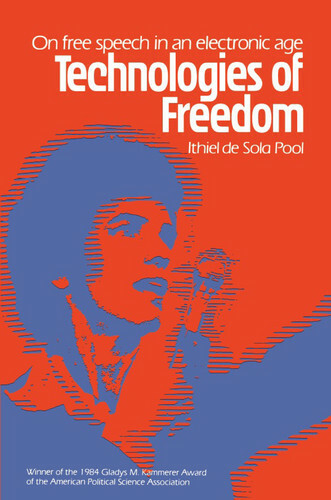 No two books more eloquently captured and celebrated the information age than Ithiel de Sola Pool’s Technologies of Freedom and Virginia Postrel’s The Future and Its Enemies. Head over to Reason to read the rest of my essay as well as all the other excellent books that contributors have recommended as part of the symposium. There are some really great selections in there. And if you care about the future of technological freedom and human liberty and progress more generally, please do read (or re-read) both Pool and Postrel’s books when you have a chance. They changed my life and they will change yours, too.